It’s already been a busy few months of 2019 for the DMV and we’re highlighting a couple initiatives you may have been hearing about. The first is a partnership with the Idaho Department of Correction (IDOC)—and the second is a renewed push to ensure all Idahoans know what the Star Card is–and how to get one so you don’t get left behind. Inmates being released from three Idaho correctional facilities are now being issued state identification cards by IDOC employees. Previously, released inmates were transported by IDOC to county Sheriff’s offices to receive identification cards where lobbies are often full. The new program is a cooperative effort between IDOC and ITD. Idaho Rep. Melissa Wintrow, D-Boise, and Interfaith Sanctuary Director Jodi Peterson were proponents of the program. Dominic Hinton is getting out of prison in July after about 18 months. While incarcerated, he says his ID expired. “I am very nervous to get out but having an ID is another step that’s going to be easier to get a job, easier to get everything else done when I get out there,” Hinton said. Hinton is shown in the photo getting his picture taken by an IDOC employee for a state identification card. Many inmate’s driver’s licenses or identification cards expire, are lost or destroyed while in prison. IDOC case managers work with the inmates months before their releases to obtain the proper documents to qualify for an identification card. Let’s switch gears to another huge DMV initiative—empowering Idahoans with the information they need about the Star Card. A year after Idaho began issuing the Star Card, Idaho’s Real ID, five percent of Idahoans have applied for the card. Without it on a driver’s license, citizens won’t be able to board a plane or enter a federal facility. Beginning Oct. 1, 2020, the Department of Homeland Security will require a Star Card, or other approved credential such as a passport, to get through security at airports, courthouses, and military bases. To date, 70,000 of 1.25 million licensed drivers in Idaho have a Star Card. 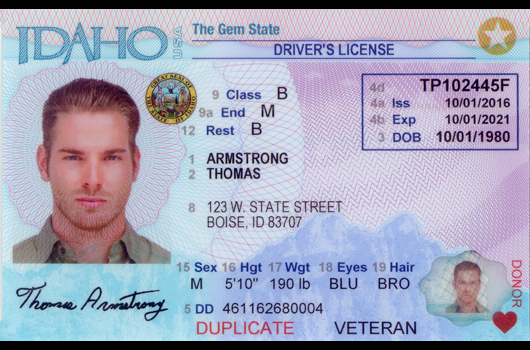 For a full list of compliant credentials, visit itd.idaho.gov/starcard or call 208.334.8736. Governor Little also teamed up with ITD to share a message about the Star Card through a new public service announcement. You can view it here. Additionally, there will be much more information about Star Card shared throughout 2019 and 2020–to ensure all Idaho citizens are empowered with the information they need before the October 2020 deadline. A little more than a month into 2019, the Division of Motor Vehicles will be sharing updates about new initiatives and enhancements that are taking place within the Idaho Transportation Department. Much of this information is already regularly shared through DMV GO, an in-house publication shared with all DMV employees, as well as our county sheriff partners in licensing and assessor offices. Moving forward, this blog will share information about DMV services with employees and citizens. New service enhancements are already in the works for Driver’s License services in 2019. However, we’d like to provide a recap of where we are after vendor software issues caused major service disruptions statewide for customers visiting county driver’s license offices, which are operated by sheriff’s staff. In early Aug. 2018, the DMV successfully launched the GEM Modernization effort, replacing a 40-year old mainframe system that was outdated. Two weeks later, vendor software for capturing customer pictures and signatures failed—crippling the ability of DMV offices to service customers for one week. It is important to note the failure was with the vendor’s system, not ITD’s modernization effort. Realizing the vendor was unable to fix the problems, the modernization team (DMV and IT staff) jumped into action and created an entirely new program to capture photos and signatures in just two days. Since then, there have been no outages or shutdowns of DMV offices. Wait times in offices today are essentially back to what they were before the shut down last summer. Additionally, the DMV has committed several members of the ITD team to visiting county offices and delivering hands-on training regularly in the weeks and months following the August shutdown. The collaboration and communication has been critical to the improved success of our system and the customers it serves. Concurrent with those efforts, the DMV is in the process of developing an online customer portal that will provide services that allow customers to renew their licenses online. This option would further decrease wait times in county offices. More information on its rollout will be shared in the coming months. 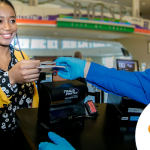 Finally, you’re going to start hearing and seeing a lot about the Star Card, Idaho’s Real ID, as part of a large, multi-faceted media and advertising campaign. The campaign is designed to strongly encourage citizens to renew their license to meet Star Card federal requirements. Without a Real ID, citizens won’t be able to board a plane or enter a federal facility after Oct. 1, 2020. You can learn more about it now by visiting itd.idaho.gov/starcard and using the “Add the Star” tool. It provides a personalized list of documents you will need in order to renew your license with a Star. 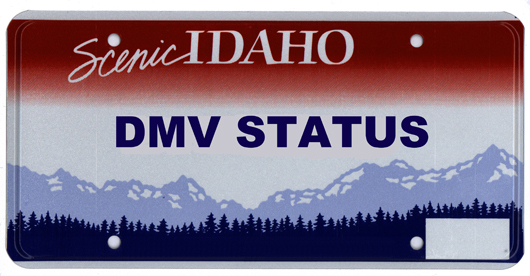 Approximately 70,000 of 1.25 licensed Idaho drivers have secured a Star Card to date. Our goal is to see those numbers increase and avoid long lines and missed travel opportunities ahead of the Oct. 2020 deadline. We look forward to sharing more information highlighting successes in the DMV in our next blog. 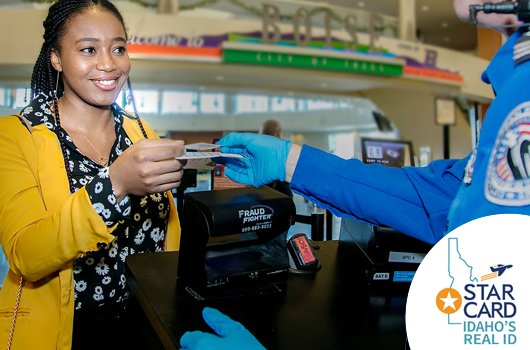 BOISE – A year after Idaho began issuing the Star Card, Idaho’s Real ID, five percent of Idahoans have applied for the card. Without it on a driver’s license, citizens won’t be able to board a plane or enter a federal facility. The DMV has developed a helpful “Add the Star” online tool the public can use to determine the documents they need to bring to obtain a Star Card. It is also mailing renewal postcards to Idahoans whose driver’s licenses or IDs are going to expire, urging them to consider getting a Star Card. For more information go to the Star Card brochure. BOISE — In an effort to alleviate long lines in county Division of Motor Vehicle driver’s licensing offices, the Idaho Transportation Department will provide citizens with licenses that expire in November and December an option to renew driver’s licenses and identification cards by mail. 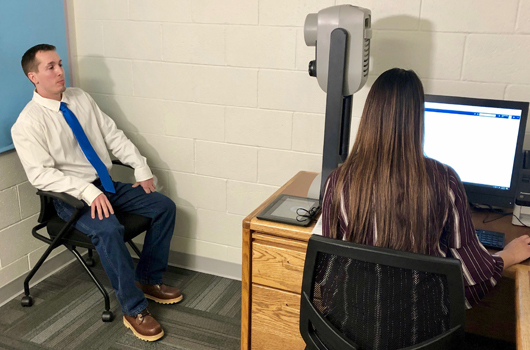 ITD has been exploring potential solutions to assist county DMV offices after vendor technological issues forced statewide driver’s license offices to close for nearly a week in August. Offices reopened in late August, but long lines of customers seeking driver’s license services continue in many counties. The DMV will send all citizens with licenses expiring in November and December a form so they can opt to renew by mail, instead of going to physical offices. Mail-in renewals also will be available in county offices that process and provide driver’s license services. ITD will track the number of mail-in renewals and work with the Idaho Sheriffs’ Association to decide whether or not there’s a need to extend this process past the end of the year. Since an ITD interim solution was implemented after that multi-day outage, the system is stable. Transaction times however have been slower, contributing to longer lines in some offices. Only licenses that expire in November and December 2018 are available for mail-in renewal. 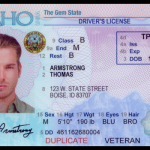 The Star Card, Idaho’s Real ID, will NOT be available by mail. Citizens seeking the Star Card must present required documents in person at DMV offices to meet federal requirements. For a full list of items that are accepted to obtain the Star Card visit, itd.idaho.gov/starcard. Commercial Driver’s License (CDL) holders cannot renew by mail. Only U.S. citizens and permanent residents are eligible to renew by mail. Drivers between the ages of 21 to 69 years of age are eligible to renew by mail. ITD, the Sheriffs’ Association and Governor C.L “Butch” Otter’s office are working closely in partnership with each other on permanent, long-term solutions to DMV licensing issues. It’s important to note that County assessor’s offices that issue vehicle registrations and titles are not experiencing long lines or delays. For more information, citizens are encouraged to call the ITD DMV Customer Care Center at 208.334.8736. 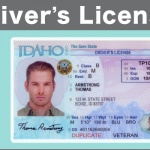 Two weeks after vendor software issues halted the issuance of driver’s licenses in county DMV offices across Idaho, an interim solution is in place—with licenses being successfully processed for customers. With the system stabilized, the Idaho Transportation Department will work collaboratively with sheriffs to develop a long-term solution. During the week of Sept. 3, statewide offices were open without interruption and the number of licenses issued increased daily. On Sept. 4, 1,724 credentials were processed. That number jumped to 2,023 on Sept. 6. 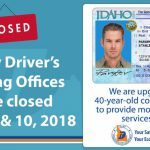 While many offices saw larger volumes of customers, an ITD emergency extension for expired licenses has provided a reprieve for customers through Oct. 31, 2018. To learn more about extension details, click here. To speak to a member of ITD’s DMV customer care team, please call 208.334.8736. License transactions continue to increase statewide. On Sept. 6, 2,023 credentials were issued. An average summer Thursday sees around 1,870. ITD thanks everyone for their patience as the system remains stable and the workaround solution is maintained. County DMV offices continue to process and issue licenses. On Sept. 5, 1,838 licenses were issued statewide. That’s an increase over the 1,724 issued the day prior. County DMV offices are processing and issuing driver’s licenses. On Sept. 4, 1,724 licenses were issued statewide. A typical day sees somewhere between 1,850-1,900. The steady progress indicates the system workaround solution is working. Additional training between ITD and county DMV staff continues. Office traffic remains steady. Large volumes of customers are expected this week after outages last week. ITD and county staff appreciate the patience of customers visiting offices. All county DMV offices are expected to be open this week. Please check with our local DMV office for hours of operation. The working solution remains in place for county sheriff staff to issue driver’s licenses. Larger volumes of customers are anticipated. ITD and county staff appreciate the patience of our customers. 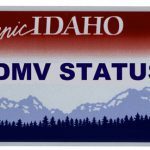 The Idaho Division of Motor Vehicles has implemented an emergency extension through Oct. 31, 2018, for all Idaho drivers with expiring or expired driver’s licenses due to recent DMV office closures. Information about this extension has been communicated to county sheriff, local, state and national law enforcement and is in immediate effect. 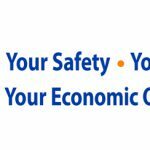 ITD DMV Administrator Alberto Gonzalez implemented this emergency extension Tuesday, Aug. 28, 2018. This comes less than 24 hours after severe vendor software issues forced most DMV county offices that issue driver’s licenses to close their doors. 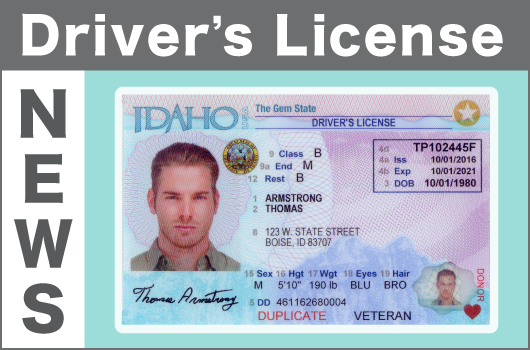 There are some exclusions to the extension; including Commercial Drivers License (CDLs) holders who do not have a legal presence document on file with Idaho’s DMV and drivers whose privileges are currently withdrawn until reinstatement requirements are fulfilled. Customers or agencies with questions or in need of documentation to support the extension are encouraged to call the ITD DMV at 208.334.8736 or contact their local sheriff office. Specific to DMV license services not being available, ITD is working closely with our vendor, sheriffs and county staff to get services online as quickly as possible. Governor C.L. “Butch” Otter also has called a working group of stakeholders together to move forward with a short and long-term fix. ITD greatly appreciates the patience of our customers and county staff and as we collectively work together to secure a permanent Idaho solution. Statement from ITD Division of Motor Vehicles Administrator Alberto Gonzalez about recent outages affecting the issuance of driver’s license services in Idaho. “This level of service affecting citizens, sheriffs and the Idaho Transportation Department is unacceptable. ITD has been continuing to work with our vendor as they work toward a solution, but outages have increased and even spread to other states. We need an Idaho solution. ITD’s solution is to eliminate the dependency on the real time communication with our vendor’s software. ITD plans to implement the solution statewide by Thursday. It would allow county staff to input customer information in person without having to communicate in real time with our vendor. It will be stored on a server. At the end of the day, information would be provided to the vendor. Below is the letter ITD sent to Canyon County Sheriff Kieran Donahue in response to his correspondence with Governor C.L. “Butch” Otter. BOISE—Due to ongoing outages related to the Division of Motor Vehicle’s software vendor that issues driver’s licenses, the Idaho Transportation Department is recommending sheriff’s offices close their doors while troubleshooting continues. Please check with your local sheriff’s office. ITD will be sharing more information at 1:30 p.m. on short and long-term solutions to these ongoing problems. More information on ITD media availability will be shared at that time. 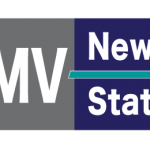 DMV STATUS UPDATE – Normal transactions are resuming at county offices – licensing vendor systems appear to be working normally. Driver’s License services are currently down across Idaho due to a multi-state outage by the vendor that provides driver’s license issuance through the Idaho Division of Motor Vehicles. There is no current estimated time on when the system will be online. ITD apologizes for the inconvenience to our customers and county staff. This outage is unrelated to the recent software upgrades ITD and county sheriff’s offices completed in early August. ITD will provide updates throughout the day as we work with the vendor and county staff.